Flickr needs you to fill up the 1 TB of space it offers for free. 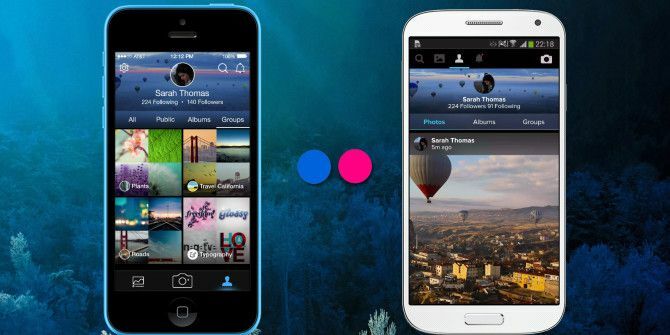 What could be quicker than using Flickr’s overhauled app for iOS and Android? Significant new features have just been added to the smartphone apps which is the biggest update since Yahoo went for a complete redesign of the Flickr app at the fag end of 2012. Flickr previously made it easier to take photos and videos from within the app and process them with advanced image enhancement options and Instagram-like filters. The new HD video capturing and editing feature gets the highlight in this round of the update. You can now record 30 seconds of HD video using the same live filters available with photos. Plus, you get to save your smartphone space by using the new auto-sync feature that backs up original quality photos and videos from the camera roll to your Flickr account. You can optionally keep this switched off. Flickr has also juiced up the image search. The new search feature is more intelligent as it can scan your photos and detect date, time, and place to organize your photos. The app also recognizes scenes (ex: “car,” “sunset,” “beach,” “portrait”) and thus helps with the way you explore through your own photos. The smart organization also should make discovery of photos in the Flickr community that much easier. You can continue your relationship building by following your favorite photographers and commenting on the best photos you appreciate. You can go into the enhanced information screen for each photo and find out the EXIF information like the camera and lens used to take the photos. Yes, you get to only log in with a Yahoo ID now, but the app feels a little bit more complete in the latest update. Tell us about it. Thanks for the great feedback. Very valid points.